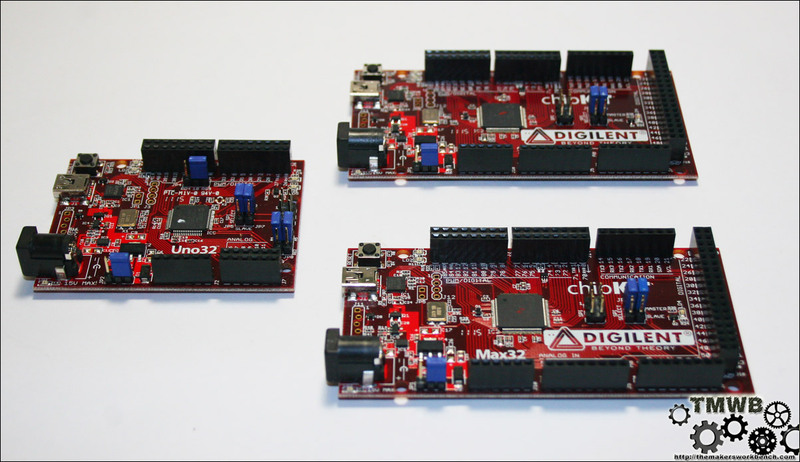 Yesterday we received a package from Microchip that contained not one, but three boards. 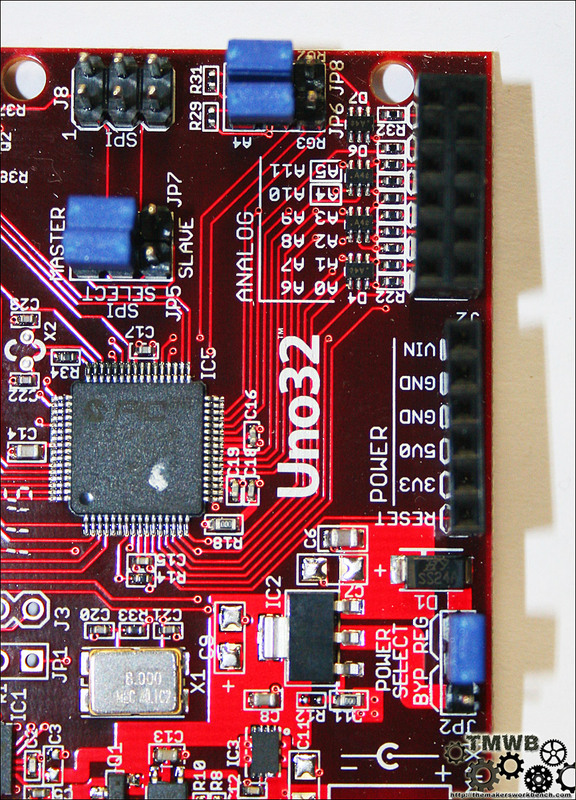 They were kind enough to send us two Max32, and one Uno32 boards. 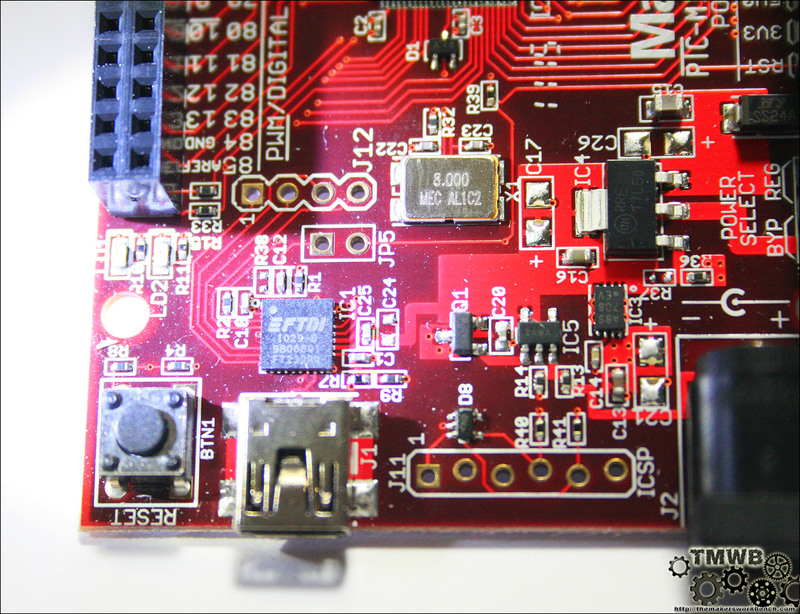 I immediately tore into the package and began familiarizing myself with both boards. 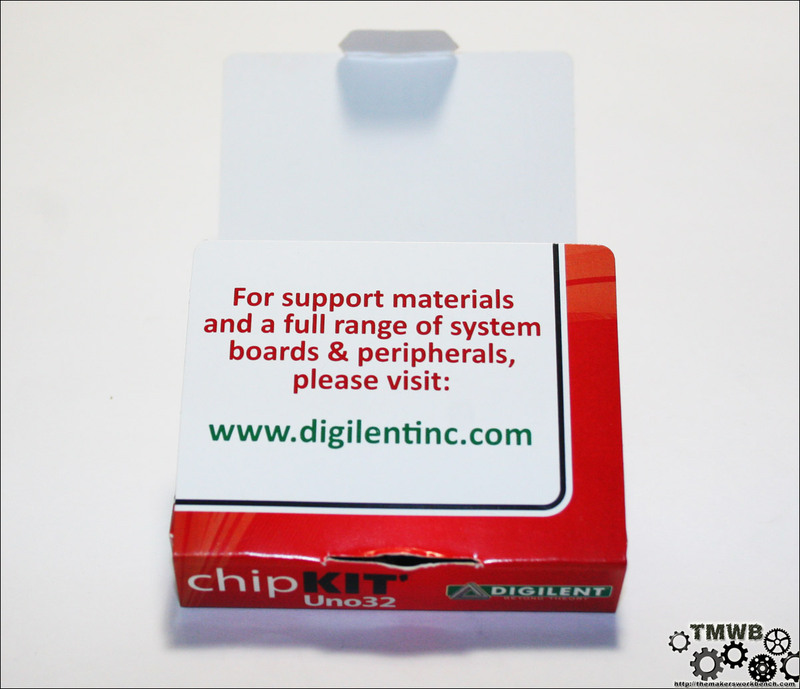 The first thing any of us will notice is that Digilent packages each board in a small colorful box. 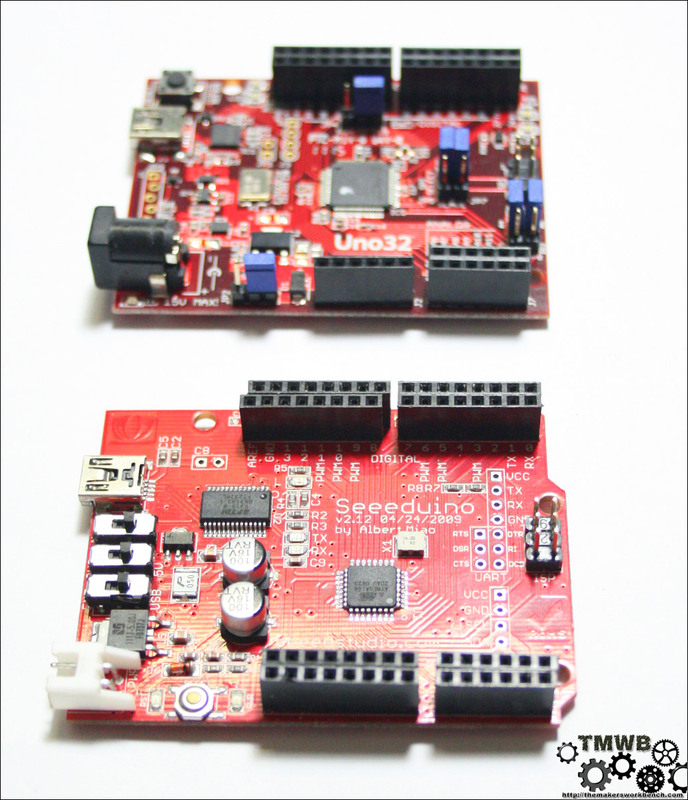 Both boards are indeed in compliance with the standard Arduino Uno and Arduino Mega form factors, including the non standard pin spacing. 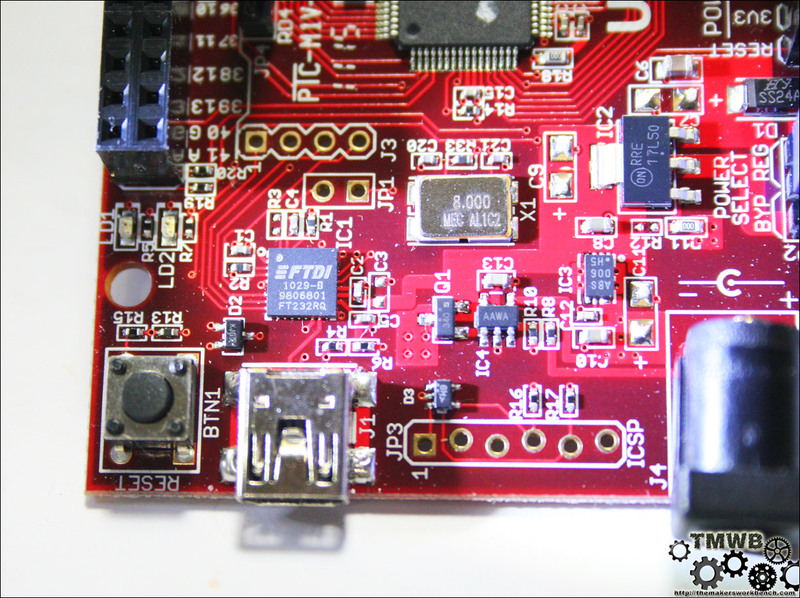 I was a bit disappointed to see jumpers instead of switches, but that is something I can forgive. 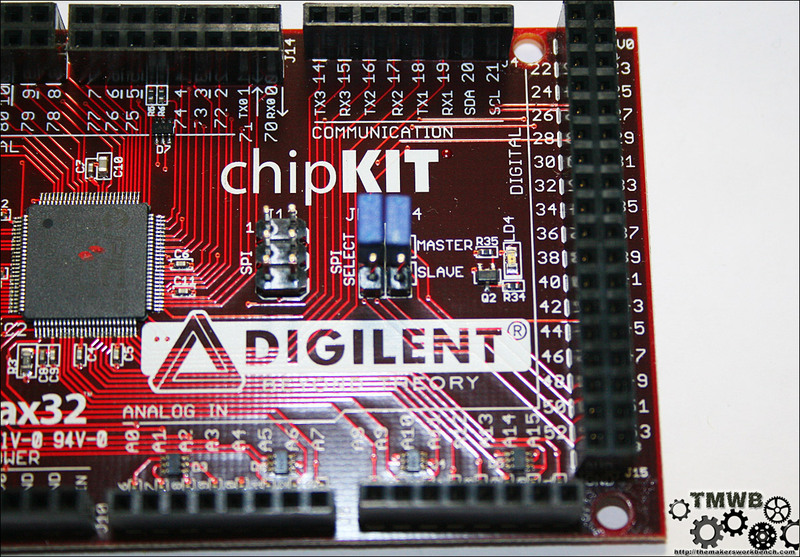 The next thing I noticed was that Digilent chose to stick with the FTDI USB-Serial chip instead of using one of Microchip’s competing ICs. 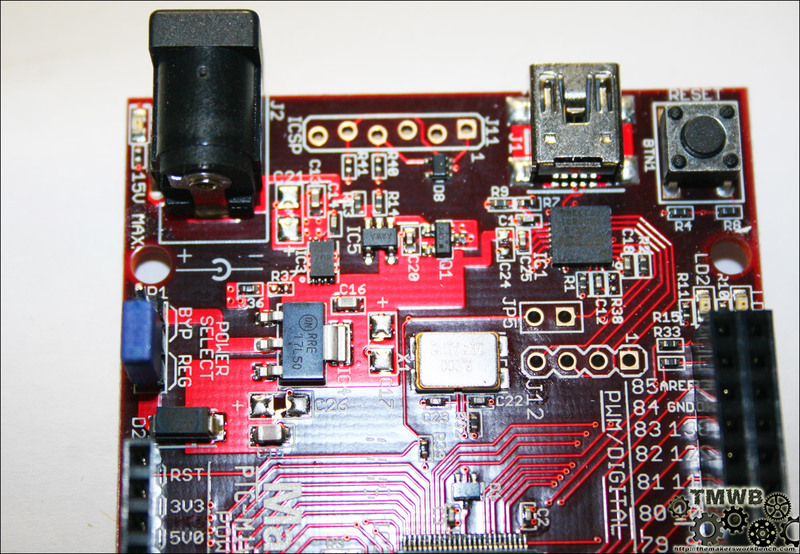 I am unsure of the reason behind this, but I think it may have something to do with the way the Arduino IDE communicates with the MCU. 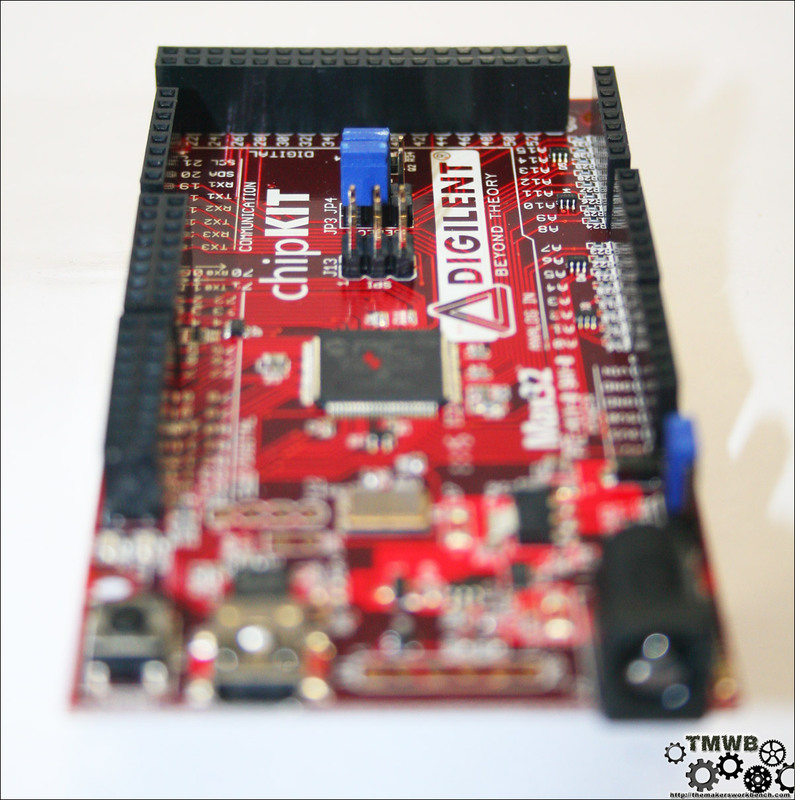 Digilent was already busy porting over the IDE along with the full Arduini Library so why make things more complicated right? 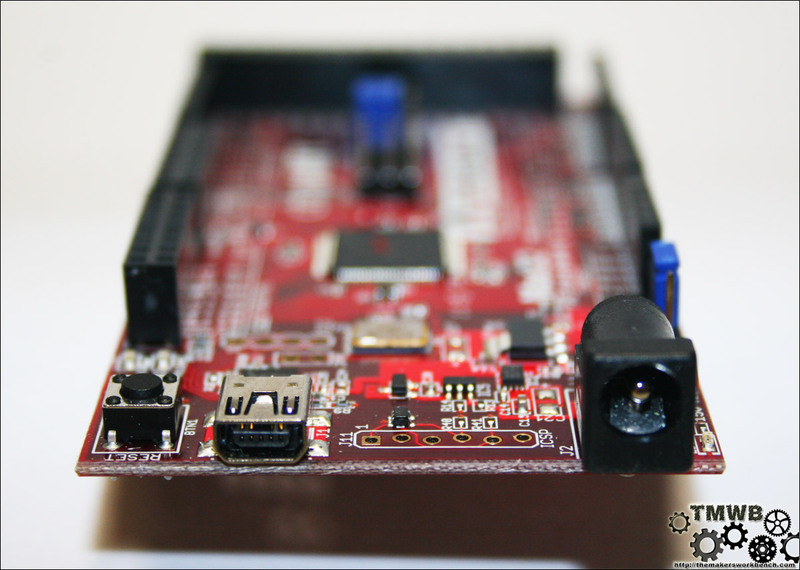 The red solder mask is a nice change from the blue that has become standard on official Arduino boards. 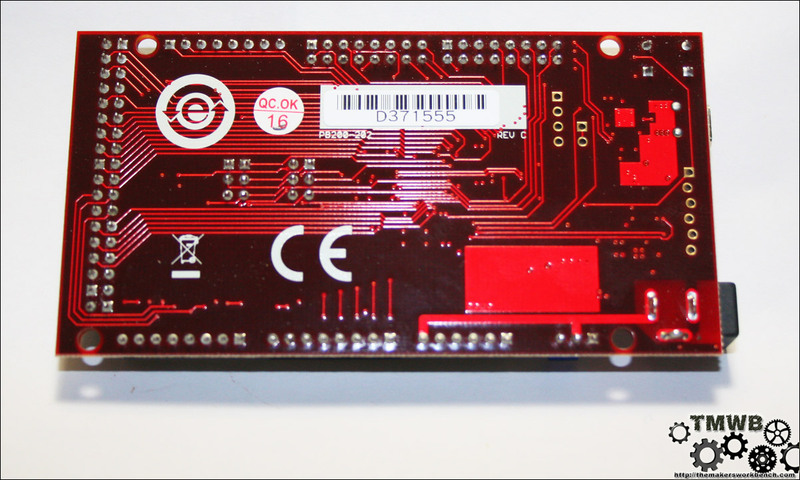 I am quite use to this though as all of my MCU boards have red solder mask. 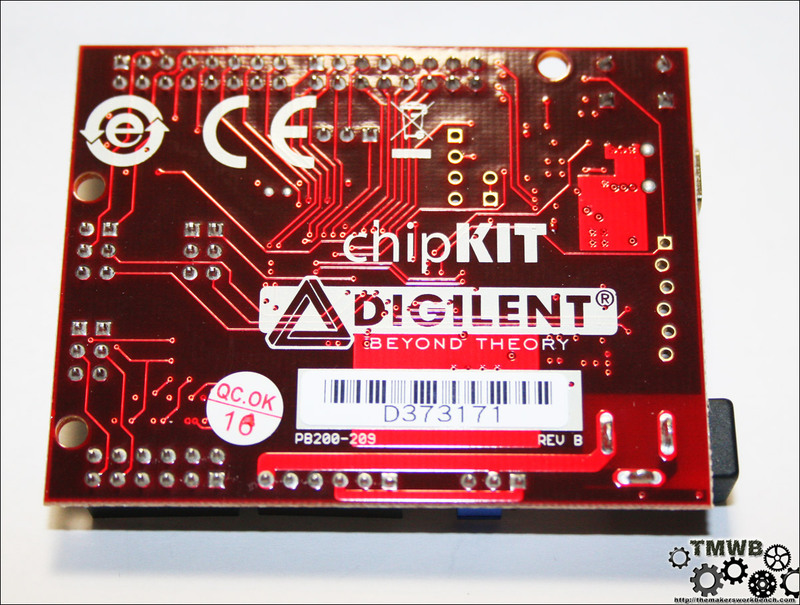 Digilent also chose to relocate the reset button from the standard location to the top left corner. 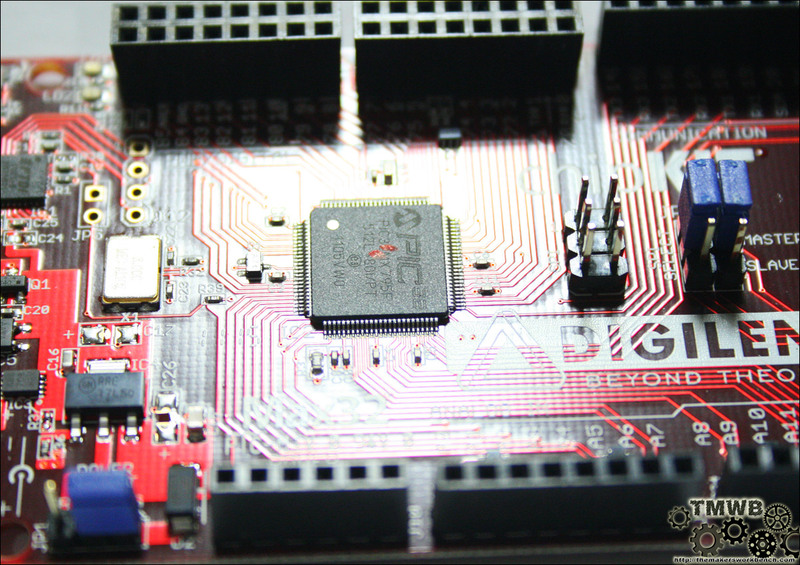 This was of course to aid in resetting the MCU when using shields that do not have a built in reset button. 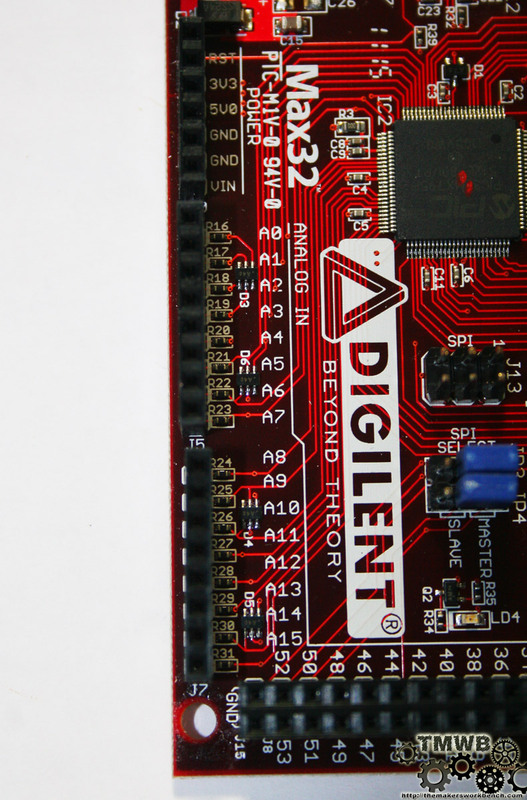 Digilent also decided to forgo the bulky USB B connector, instead opting for a mini USB connection. 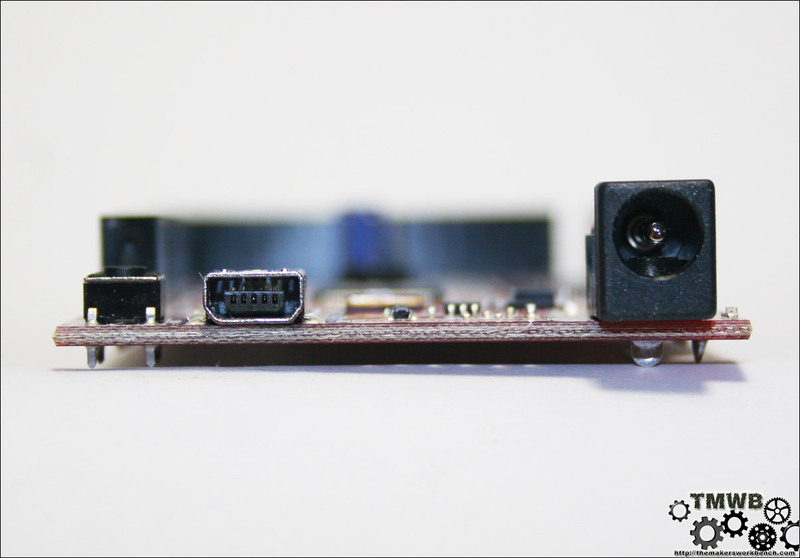 They did keep with the standard barrel jack connector, so no special connector is needed like is with the seeeduino. 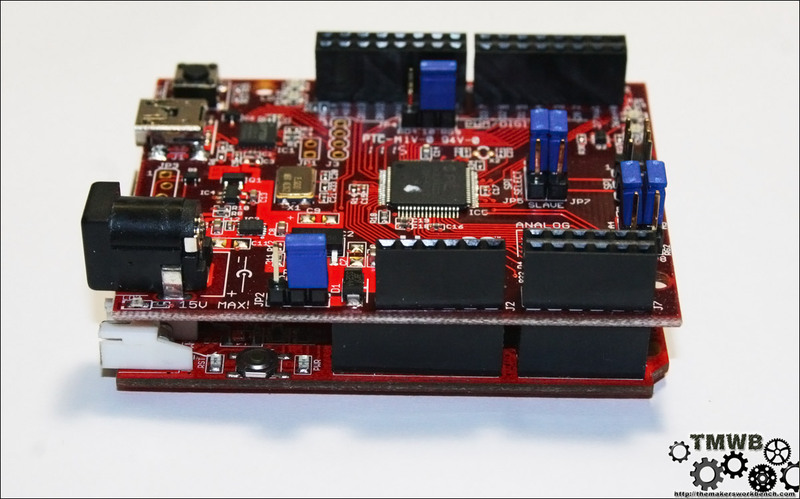 There has been much speculation floating around various maker and hacker sites as to whether or not the claim of being 100% Arduino compatible is true. 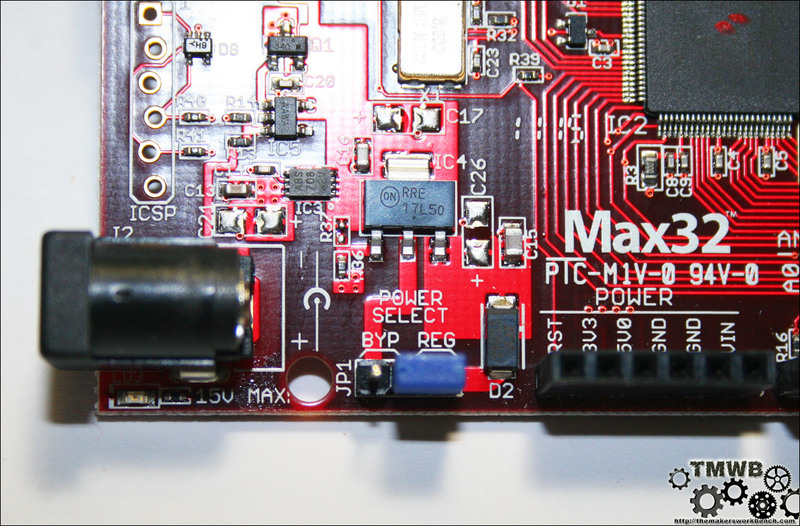 Well today I can put those questions to rest. 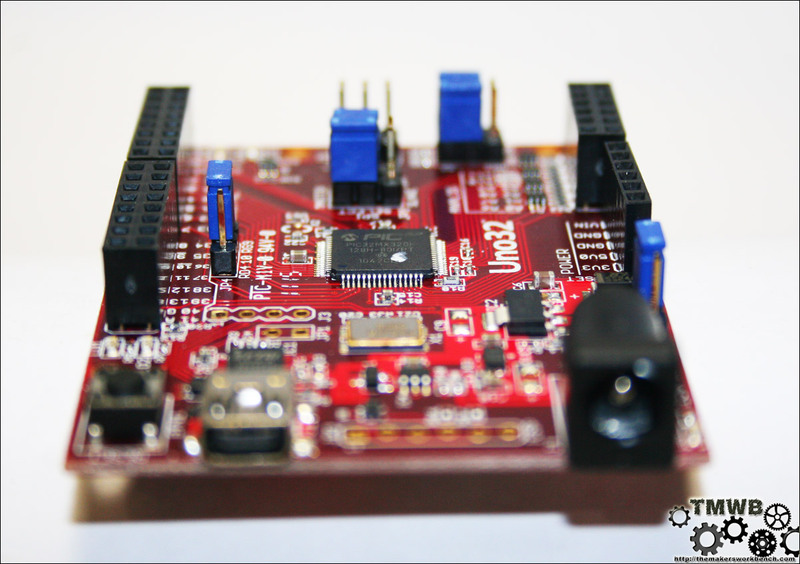 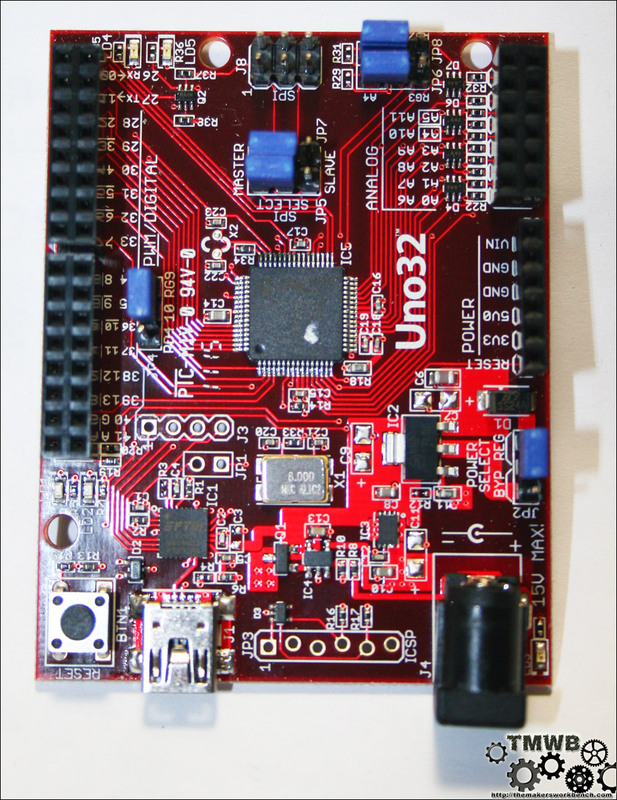 Both the Uno32 and Max32 are 100% Arduino compatible from the form factors down to the Librarys and IDE. 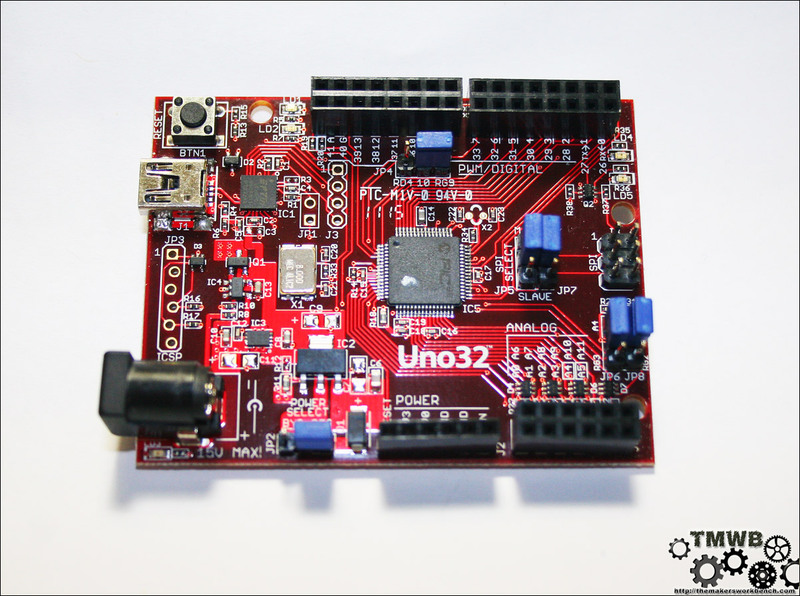 This is made possible by a modified version of the Arduino IDE that is compatible with both AVR, and PIC32 based boards. 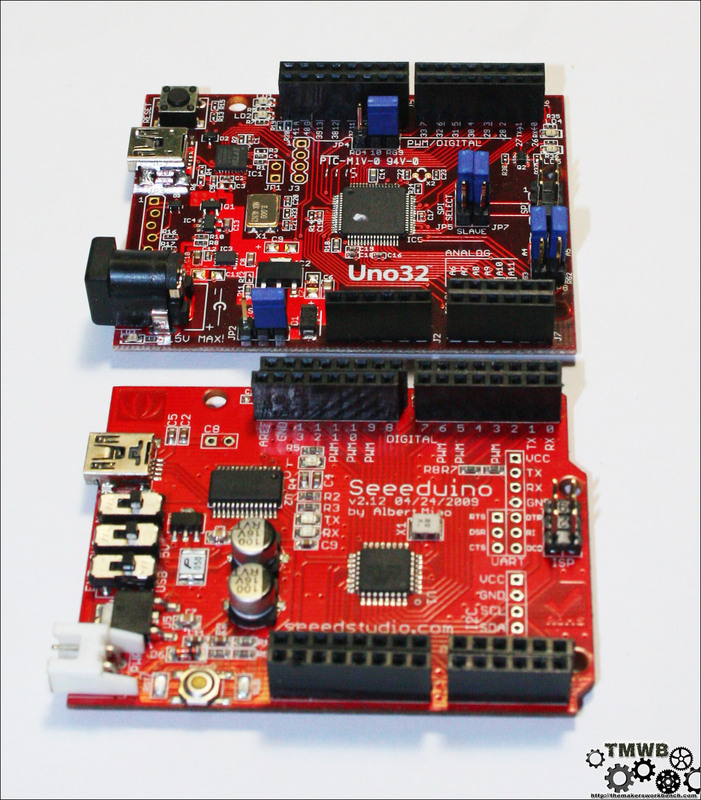 Mark Sproul and Rick Anderson are hoping this new IDE is adopted by the Arduino Steering Committe. 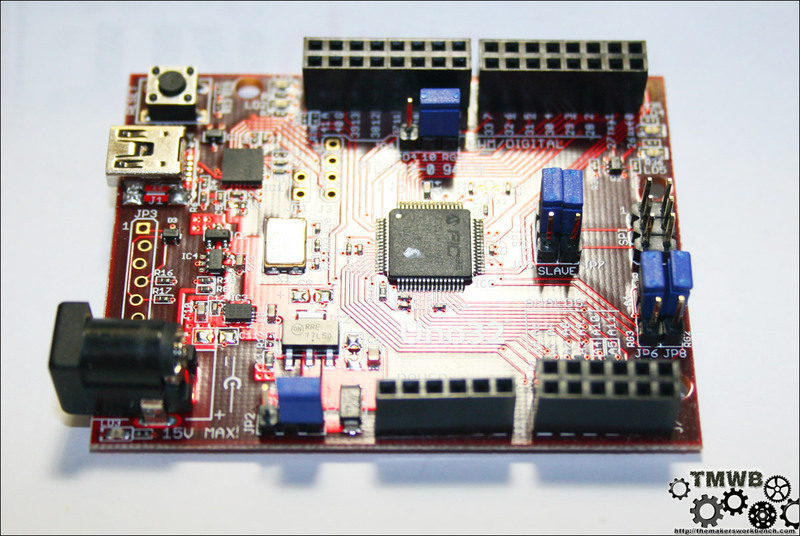 So you will not need to run the official Arduino IDE if you wish to program your AVR based Arduino board. 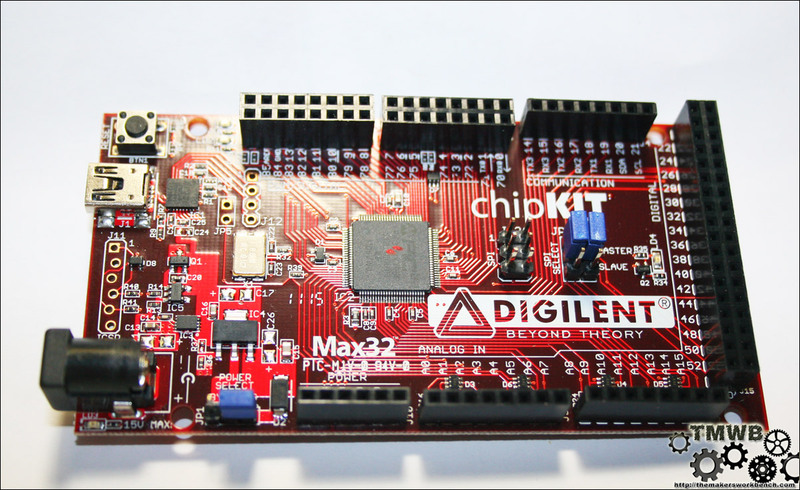 Microchip and Digilent teamed up on this because they saw a need in the Hobbiest, Academic and Professional communities for a platform that would enable hardware and software education from a single platform, while at the same time keeping the cost and complexity down. 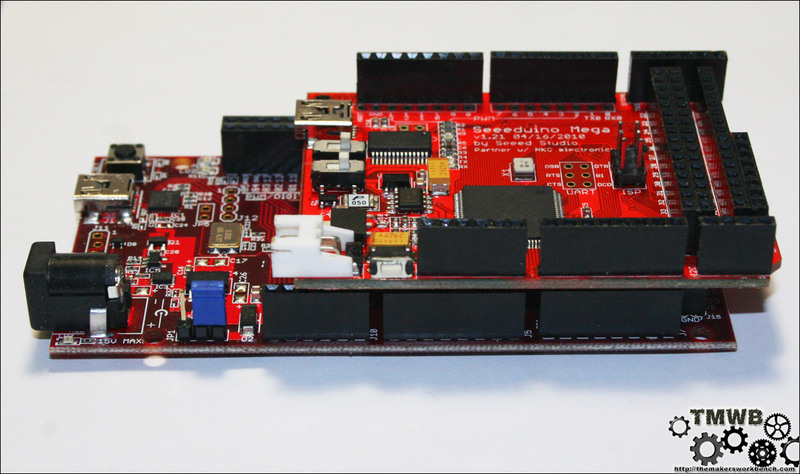 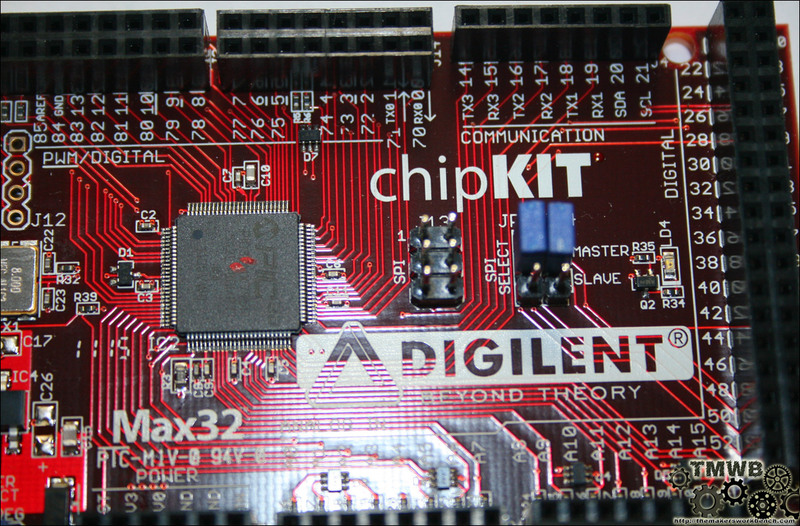 True to the Arduino philosphy the chipKIT Uno32 and Max32 are both open source hardware, and the IDE retooled by Mark Sproul and Rick Anderson is open source as well. 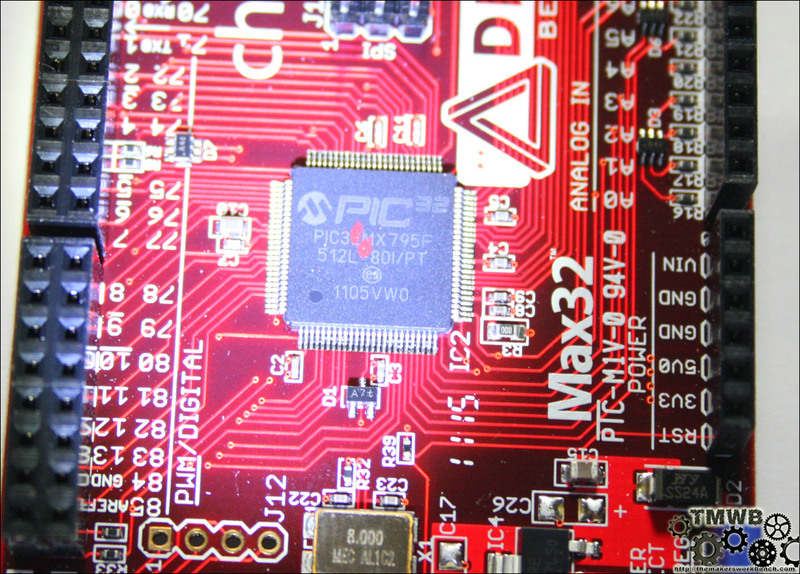 We were told the same is true for the new compiler. 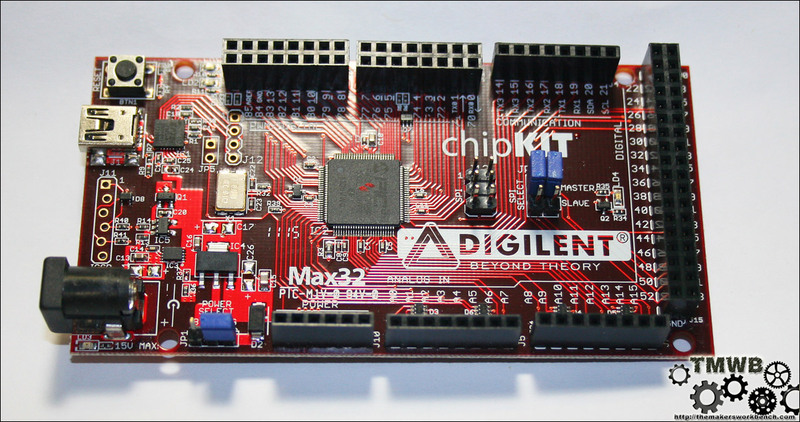 As of right now Digilent Inc is the only site selling the chipKIT Uno32 and Max32, but we have it under good authority that NKC Electronics will be carrying the boards soon. 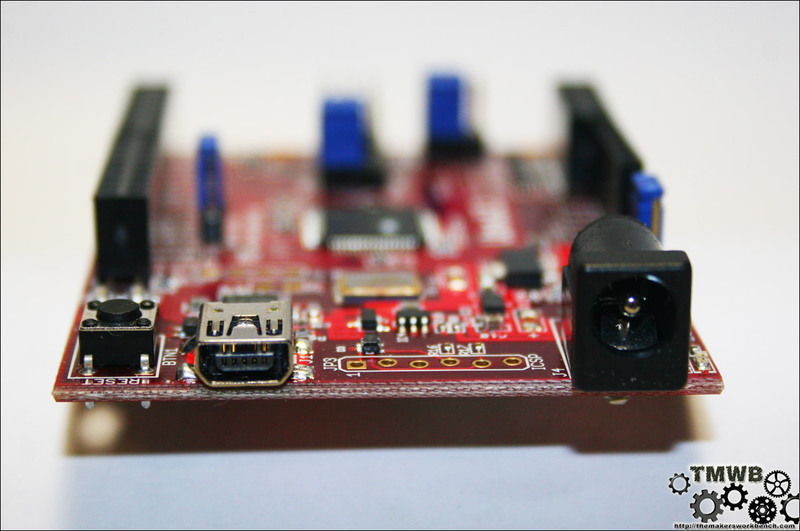 The retooled IDE will be able to complie and upload code for both AVR and PIC based Arduino boards. 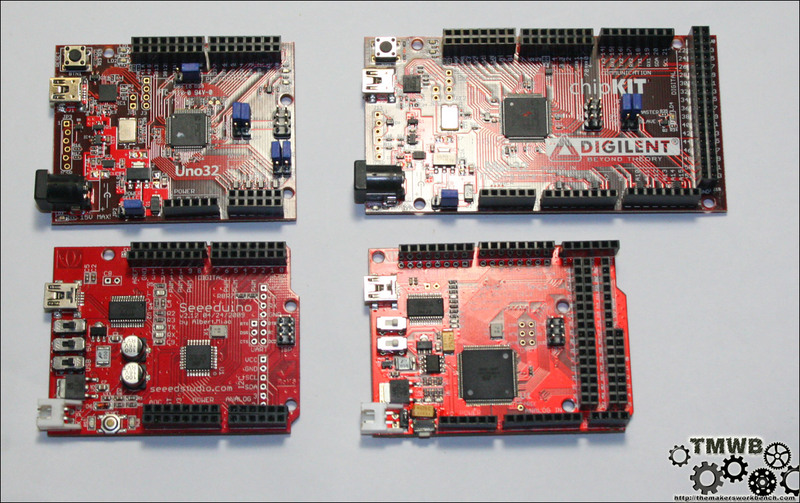 The IDE and Core Arduino Librarys will be ported and maintained to work with chipKIT Arduino boards. 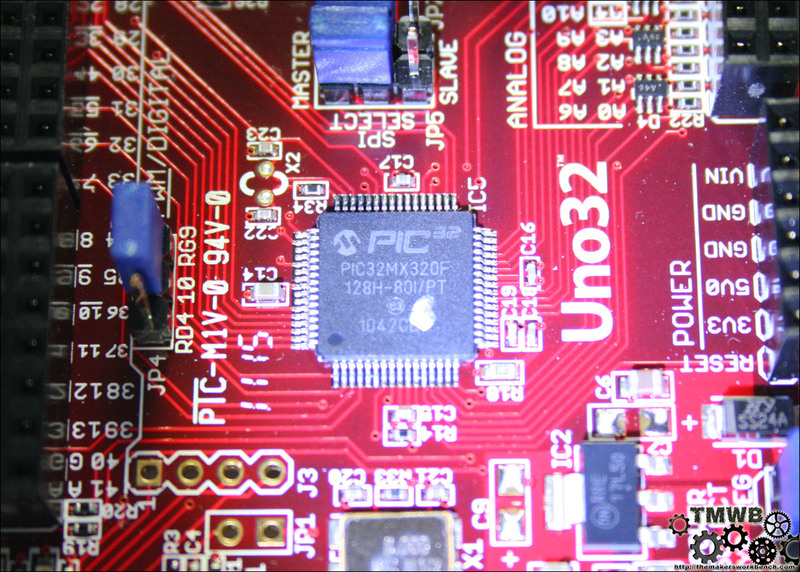 The Compiler is open source and it will see updates as need. 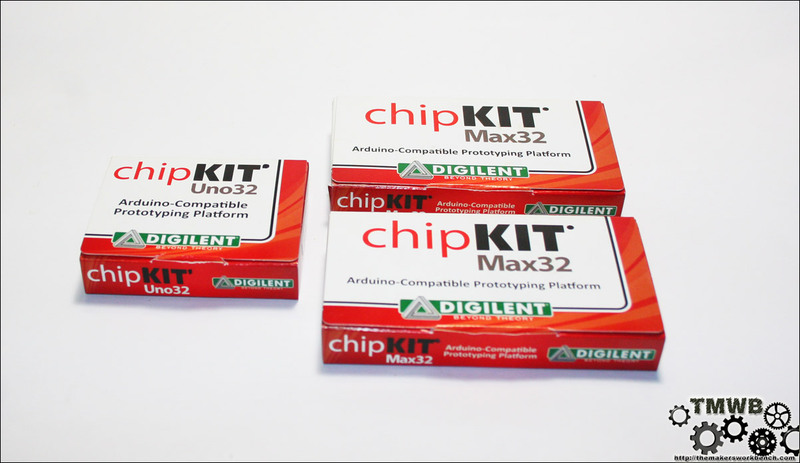 chipKIT 32 compaired to Standard Arduino. 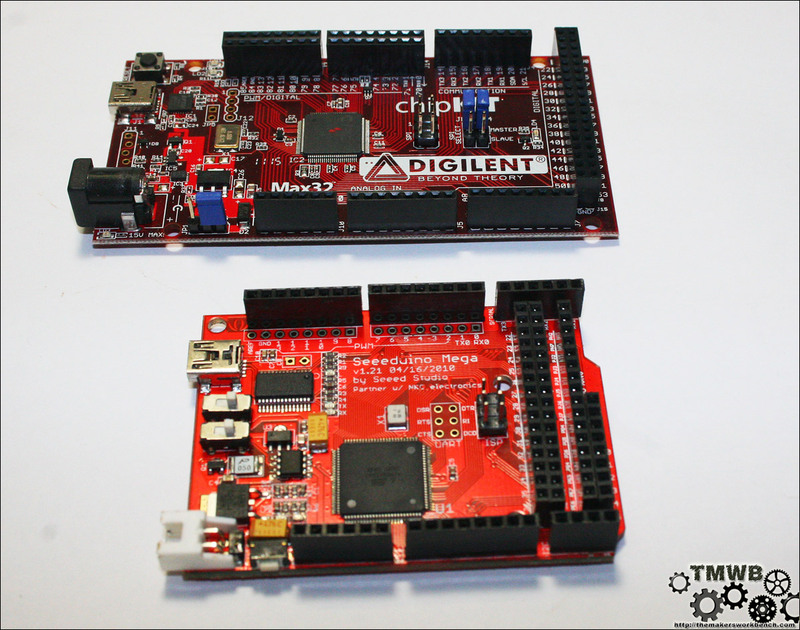 We would like to thank Michelle and Mark from Microchip and Alex at Digilent for giving us the opportunity to be part of this product launch and for the awesome new MCU boards we have to play with!